On October 30, the Securities and Exchange Commission (SEC) adopted a long-awaited section of rules created under the 2012 JOBS Act that allows companies to offer and sell securities to the general public through crowdfunding. There’s been a lot of buzz around the new crowdfunding rules, and now that they’ve been adopted on a federal level, many businesses and would-be investors have questions around how the new rules will work. We talked with attorneys Mike Laussade and Nathan Roach to get a sense of what the new rules say, and what they mean for businesses and investors. Laussade is a partner with Jackson Walker LLP’s Corporate and Securities group in its Dallas office, and represents both public and private issuers in all phases of capital raising and securities compliance. 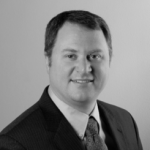 Roach is the CEO and co-founder of MassVenture, Texas’ first state-approved equity crowdfunding portal. Roach was one of the first Rackspace employees, and has a background representing and connecting innovators, startups, and high-growth companies. Think of “crowdfunding,” and you might think of Kickstarter or Kiva.org. Those platforms allow you to give money toward a new product or a philanthropic cause. A company asking for money through Kickstarter could do so because it offers something in return – a CD, book, or game console, for instance. But until recently, the SEC said that you could not raise capital through the Internet, and that only certain accredited investors could invest in private securities. The SEC defines an accredited investor as someone who has a net worth of greater than $1 million – excluding a primary residence – or someone whose household income is greater than $300,000 for those filing jointly or $200,000 for someone filing solo. The latest crowdfunding rules to be approved by the SEC change that by allowing businesses to sell securities to the general public through an approved crowdfunding broker dealer or portal. When the JOBS Act passed in 2012, it contained three sections that were related to crowdfunding: Titles II, III, and IV. Titles II and IV have already passed, opening up new ways for companies to raise money from the public. Title II says companies can solicit funds among accredited investors through crowdfunding; Title IV says companies can raise money from the public, regardless of whether an investor is accredited or not, although it requires significant paperwork; and the most recent rule to pass, Title III, permits individuals to invest in securities-based crowdfunding transactions, with investment limits. The newest rules also create a regulatory framework for the broker-dealers and funding portals that facilitate crowdfunding transactions, the SEC says. What’s the Impact of the New Rules? The new rules will be effective on May 16, 2016. Laussade points out that the limitations within these new rules are important to consider; one of the biggest is that a company can raise up to $1 million in a 12 month period. Individual investors also face some limitations, depending on their net worth. Laussade says that the Title II section of the JOBS Act rule, also known as a 506C exemption, may be a better path for many businesses. Although that only opens up crowdfunding to accredited investors, it doesn’t impose limits on how much a company can raise. Under Title IV, which passed in June of this year, companies can also raise money from the public, and do so in increments up to $50 million. But it also comes with hefty amounts of paperwork, similar to that of an IPO. A lot of how well crowdfunding under the new Title III rules works for companies will come down to how well the portals work, Laussade adds. Federal crowdfunding portals are not yet up and running, but when they are they will facilitate crowdfunding transactions, much like Kickstarter does now for companies that sell products or services in exchange for funding. 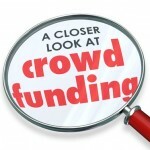 Investors and businesses also have the choice of going through state crowdfunding portals. Many states passed their own crowdfunding laws before the SEC made the federal rules official; Texas registered its first portals earlier in 2015. Roach says Texas is currently the largest crowdfunding market in the U.S. Businesses should be aware that crowdfunding under the new rules means bringing on investors that may be with you for years, Roach advises. Those investors can be advocates for a business, but it’s also incumbent on entrepreneurs to do a good job of keeping investors up to date with what’s happening with the business and know that there’s a level of expectation. Roach and Laussade also say that looking at crowdfunding within the bigger picture of a business and working with the right advisors – attorneys and accountants, for instance – is crucial to using this new tool successfully.